On Friday, May 10th, Admiral Robert Papp, the Commandant of the Coast Guard, honored some of the most esteemed members of the Coast Guard – the enlisted, reserve enlisted, civilian, and non-appropriated funds civilian persons of the year. Amongst those honored was Petty Officer 1st Class Stepheni Norton, a reservist serving with Port Security Unit 311 in Joint Task Force Guantanamo Bay, Cuba. What makes Norton, now a Chief Yeoman, so special for the Auxiliary and Auxiliary University Programs (AUP)? Chief Norton serves a dual role in the Coast Guard: she joined Team Coast Guard initially as an Auxiliarist in California’s District 11, and then joined the Reserves in 2010. As a Reservist, she is currently assigned to a Port Security Unit in Guantanamo Bay, Cuba serving as the Admin Officer for a Maritime Security Detachment. However, Chief Norton still has not forgotten her Auxiliary roots. 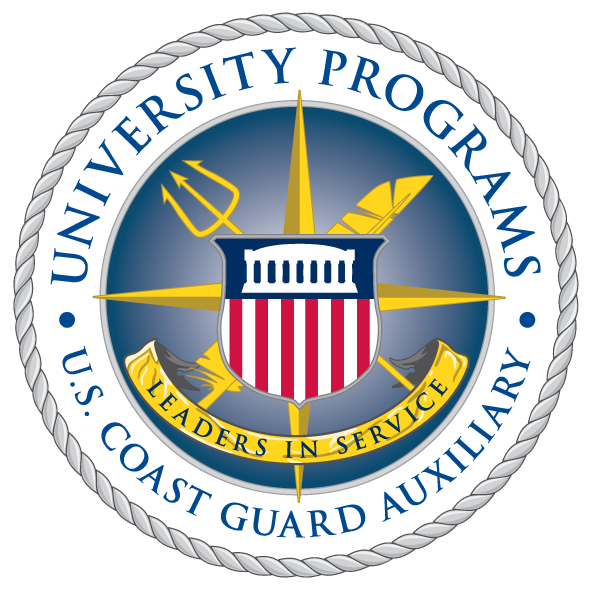 As an affiliate of AUP, she provides opportunities for AUP students both in and out of the Coast Guard, such as serving in a medical supply team on a long distance relay race in California. She also helped create the Flotilla Operations Review, which analyzes Auxiliary flotillas through five different categories to determine their operational health as an index. Consequently, Auxiliary divisions can better understand which flotillas need more support and which flotillas can support new programs, such as AUP. Chief Norton is not only an excellent example of what we strive for in the Coast Guard, but also an example of the unique opportunities that the Coast Guard provides - the ability to serve in so many different capacities. One can serve full-time through an active duty assignment or a civilian position while the Reserves and the Auxiliary provide a lesser time commitment that still makes a big impact in protecting the nation and its citizens. While other uniformed services offer the ability to serve as a Reservist, the Auxiliary allows someone to join the Coast Guard as a volunteer. What many may not know is that one may serve on active duty or as a Reservist while still participating as an Auxiliarist. Chief Norton has set the bar high for all Reservists, Auxiliarists, and other Coast Guardsmen. For her outstanding contributions, she was meritoriously advanced to Chief Petty Officer and received numerous other awards and letters during a ceremony at Coast Guard Headquarters on May 10th. As one of her partners in District 11, Auxiliarist Victor Bruno said of her, “Steph is a wonderful person and has truly both earned and deserves this award." Pictured are AUP Project Manager, Jacob Thayer; AUP Division Chief, Andrew Welch; Chief Yeoman Stepheni Norton (also an Auxiliarist); and Master Chief Petty Officer of the Coast Guard Reserve Mark Allen (also an Auxiliarist).